M-Sport Ford have enjoyed much success at Rally Sweden, but Team Principal Malcolm Wilson knows that the competition will be stronger than ever this year. Having secured six victories on the snow-covered stages, the Swedish fixture remains the team’s most successful event on the current FIA World Rally Championship calendar and the team will be hoping to give the Scandinavians a run for their money next week. “Early reports suggest that we’re in for a classic Rally Sweden with plenty of snow and plenty of action out on the stages. We completed a comprehensive test with all three crews earlier this week and they all came away with a good feeling, so let’s see what we can do. “We’re expecting the competition to be extremely strong and we know that the Scandinavian drivers will be on top form, but we also have three very strong candidates. Sébastien has won the event three times and Elfyn is also a previous Rally Sweden winner having out-performed the locals as part of the WRC 2 category in 2016. “Then there’s Teemu. This is his first snow rally with the Fiesta WRC, and only his third overall, so we can’t expect too much from him. But the Finns have always been quick here and I wouldn’t be surprised if we saw him secure another strong result. With three Rally Sweden victories to their name, Sébastien Ogier and Julien Ingrassia are the most successful non-Scandinavians in the history of the event – their number of wins only bettered by that of Stig Blomqvist, Marcus Grönholm, Björn Waldegård and Jari-Matti Latvala. With near-perfect conditions expected next week, the pairing could be disadvantaged as the first car on the road – sweeping a clean line through the fresh snow for the cars behind. But the Frenchmen are never to be discounted, even when the odds are stacked against them. “It looks as though we are in for a true winter rally next week with everything needed for a classic Rally Sweden. Reports from the region suggest that there’s a good ice base and high snow banks which is everything a driver wants to hear ahead of this event. “In those conditions, we can reach incredible speeds and lean the cars on the snow banks to help guide us through the corners. It’s an amazing feeling, but it’s not without its challenges. “There’s certainly an art to driving on snow and you need to be precise. You have to judge the strength of the snow banks perfectly and – with more snow than previous years – there could be a lot of work to do on the Pacenotes. “As the first car on the road, we’ll also have to wait and see what the conditions are like and we’re certainly not hoping to see any fresh snow on Friday. Elfyn Evans may have limited experience of winter rallying, but the Welshman knows what it takes to win at Rally Sweden – out-performing some of the region’s most promising young talents to secure victory as part of the WRC 2 category in 2016. This year, he and Barritt will be looking to improve on their career-best sixth place through the snow-covered stages and will have every chance of doing just that. “Rally Sweden is an event that everyone looks forward to. 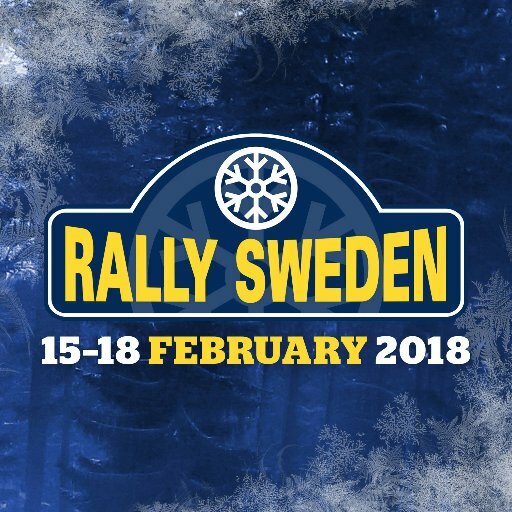 On a classic Rally Sweden – like what we’re expecting this year – we can reach incredible speeds and if you get it right it’s easily one of the most enjoyable rallies on the calendar. “The feeling on snow isn’t a million miles away from driving on gravel, but there are certain techniques that we’ll need to adapt and it can take a bit of getting used to at first. “Vision can often be a challenge – particularly if there is a lot of fresh snow making it difficult to read the road ahead. Our Pacenotes and recce are going to have to be spot on, but we’re ready for it and really looking forward to it. Teemu Suninen and Mikko Markkula will make a welcome return to the Ford Fiesta WRC at next week’s Rally Sweden, and have every chance of delivering another strong result behind the wheel of the top-specification Fiesta. Aiming to emulate the Finns who have long prospered on the frozen stages, Suninen could well be one to watch. A later road position could work in his favour, and the team are eager to see what he can deliver on snow. “We’ve just completed some good test kilometres in Northern Sweden which went really well. I’ve not driven the Fiesta WRC since last year’s Rally Finland, so that gave us a chance to get familiar with the car and we’re now feeling well prepared for the start of the rally. “It would be amazing to challenge for a podium again. Perhaps that is a realistic goal, but we would have to deliver the perfect rally to achieve it. With eight events this year, we also have to consider a slightly different approach. In 2017, we were solely focused on our future and showing what we could do, but this time we also have to think about the team and scoring points for the manufacturers’ championship. Monte-Carlo offered an exciting start to the 2018 WRC season with some tricky weather conditions up in the Alps. But the snow-capped French mountains offered just an appetiser to the main course of ‘white stuff’ that we will face in Rally Sweden. The opening round of the championship delivered little reward for our efforts as each of our three crews ran into trouble in Monte. The six stage wins and seven Power Stage points that we amassed perhaps painted a more representative picture. The season’s only full snow event, Rally Sweden also sees crews navigate stages across the border into Norway. Prominent snow banks help drivers to negotiate the fast ice-packed roads with studded Michelin tyres offering vital grip. The first of Rally Sweden’s 19 stages gets underway at the Karlstad trotting track on Thursday evening before concluding on Sunday with the Torsby Power Stage.